Precision Paper Converters was established in 1991 by three individuals who were working in the packaging industry and had a vision to begin a business in the paper industry. A local paper manufacturer had recently shut down its converting operations and PPC was able to purchase the equipment. With 5 employees in tow, Precision Paper began as a small paper converting company renting space in the back of a cheese factory in St. John, Wisconsin. 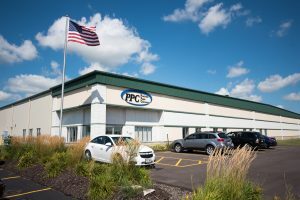 The vision became a reality as the company experienced growth over the years, ultimately leading to the purchase of land and construction of a new facility at PPC’s current location in Kaukauna, Wisconsin. PPC has been under the current ownership group since 2002 where the focus began exclusively on facial tissue converting and similar interfolded products. Our team is proud to have over 25 years of paper converting experience. We are experts in facial tissue converting and similar interfolded products, like lens wipes and delicate task wipes, and we are the only company in North America to focus on facial tissue production out of the main tissue product categories. Precision Paper Converters market is to produce facial tissue for other paper companies, under their brands. These companies choose not to make their own facial tissue or do not make all the sizes/styles they want to offer. In addition, we have a significant presence in healthcare producing tissue sizes specific to needs of the healthcare industry. To provide high quality facial tissue and related products with excellent service to select partners in niche markets. At Precision Paper Converters we take our responsibility to be good stewards of the environment seriously. Our business decisions consider the three dimensions of sustainability – social, environmental, and economic. 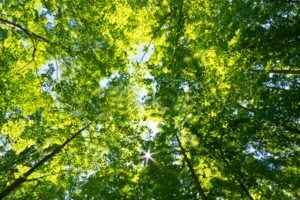 Incorporating sustainability into our business has created an economically-sound process that minimizes negative environmental impacts while conserving energy and natural resources. We believe our work is never done when it comes to the environment so we use Lean Manufacturing to continuously improve. We encourage our team members to present new ideas and engage them often to brainstorm cost-effective solutions to reduce waste. As a trusted partner, we uphold our commitment to a responsible supply chain and each year we focus on several key projects to ensure this. We are proud to offer facial tissue options made from 100% recycled materials.